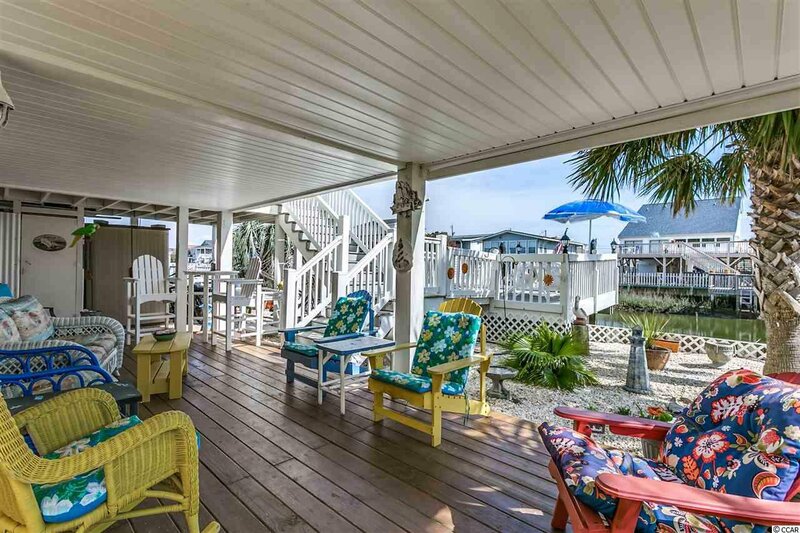 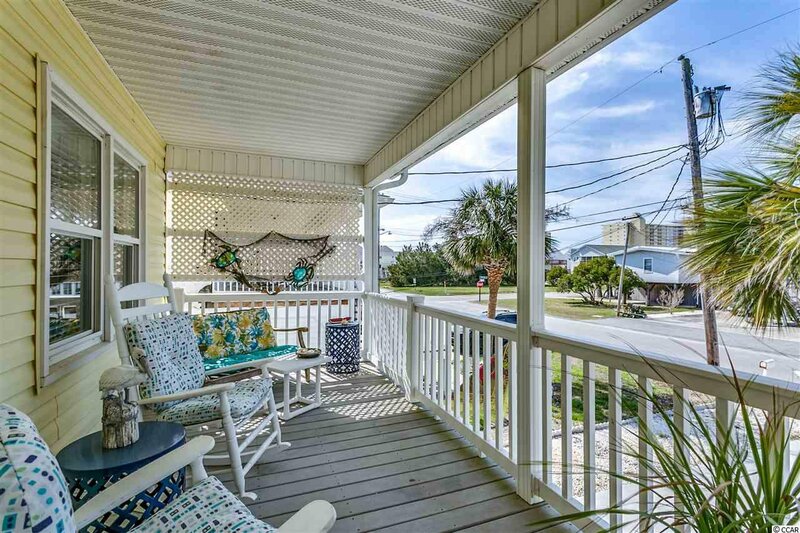 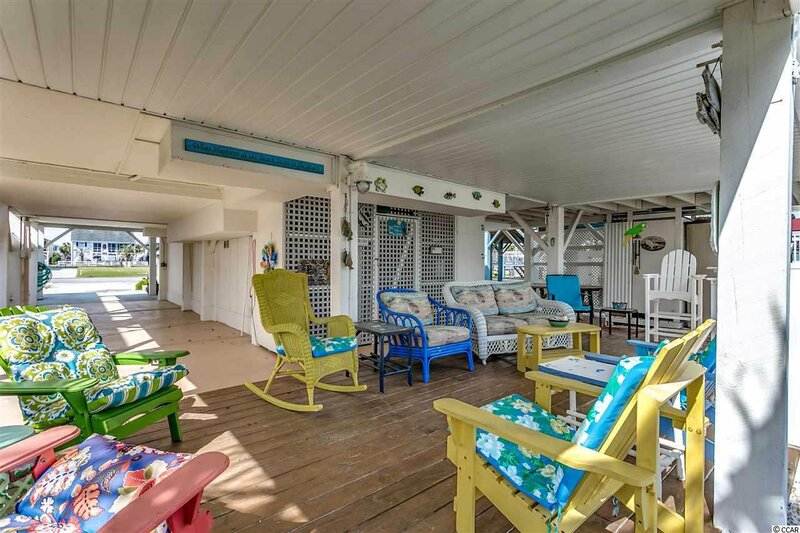 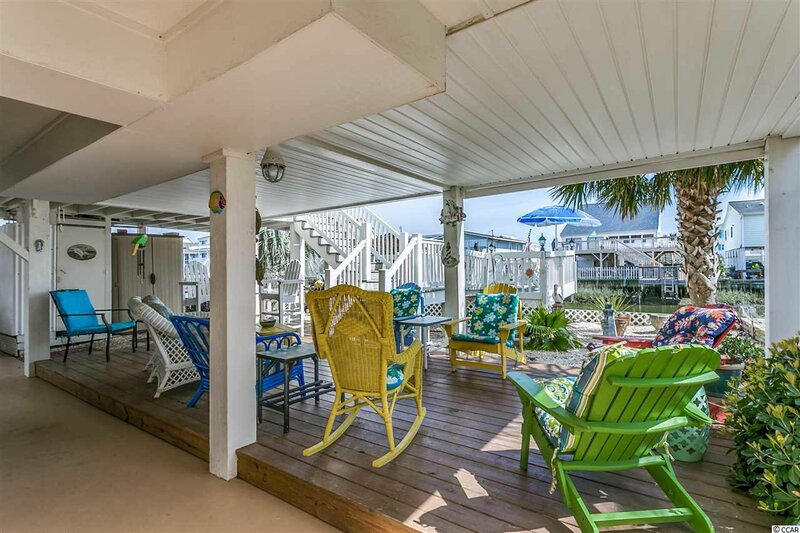 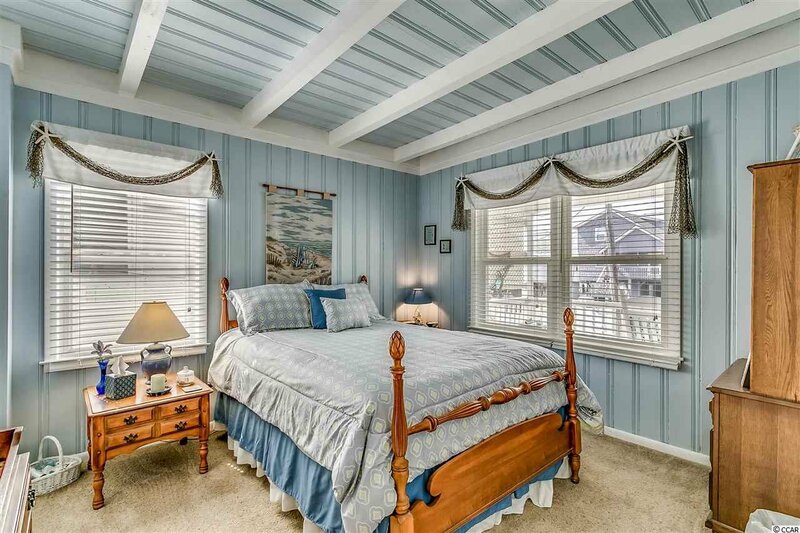 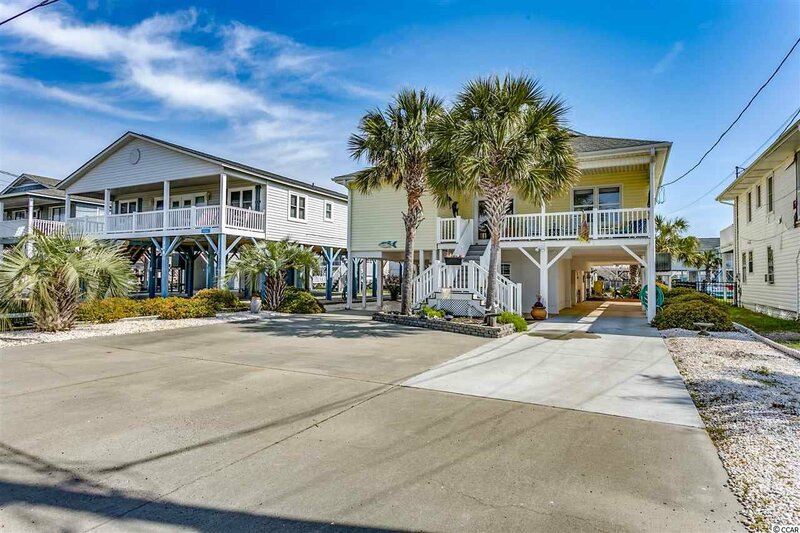 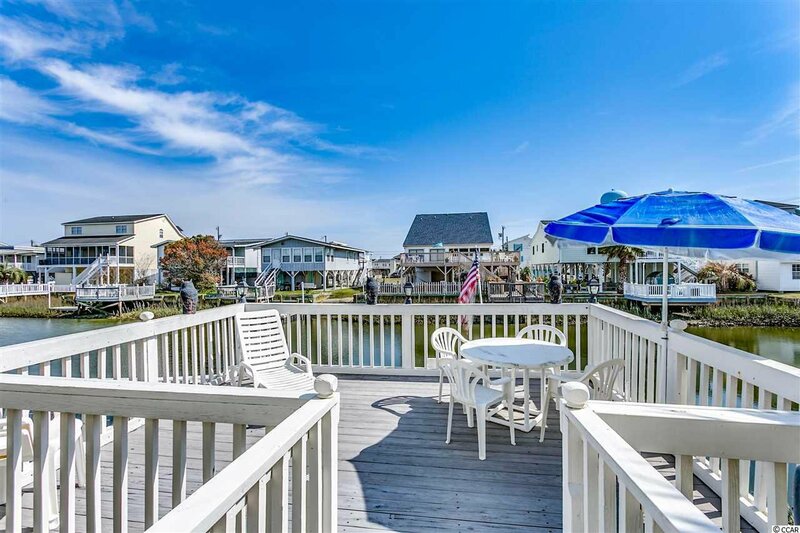 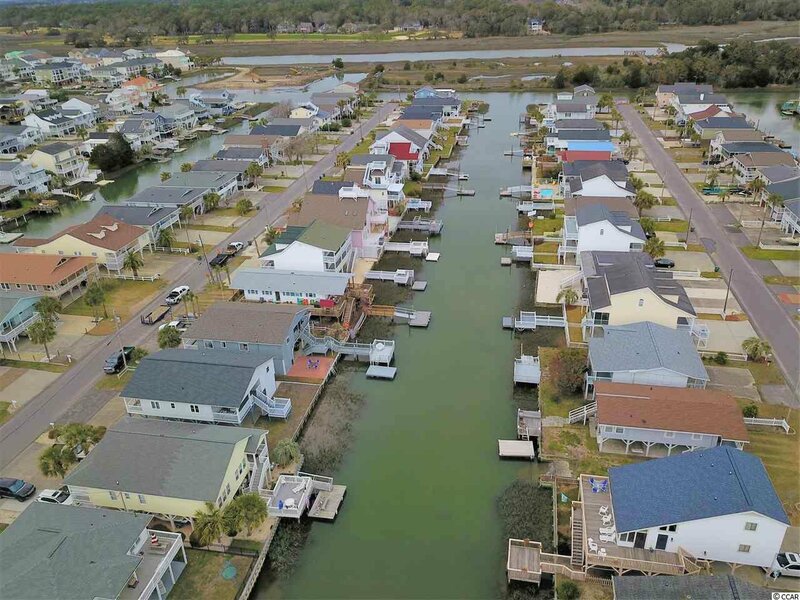 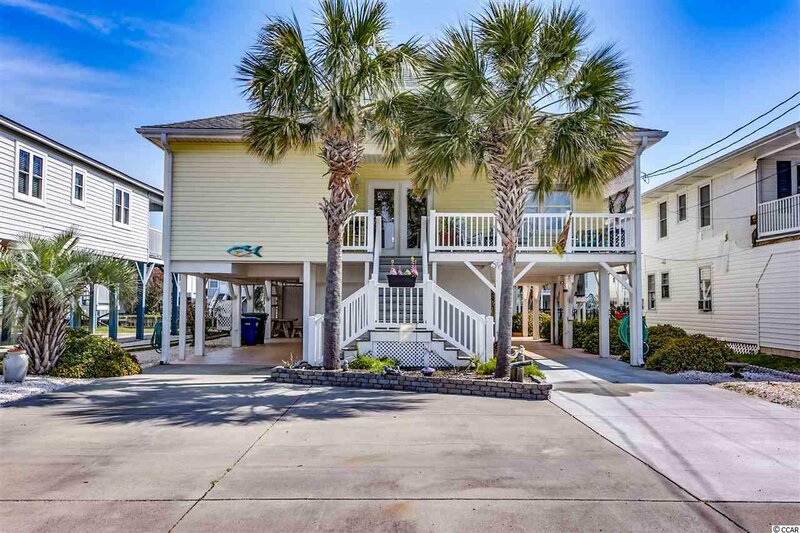 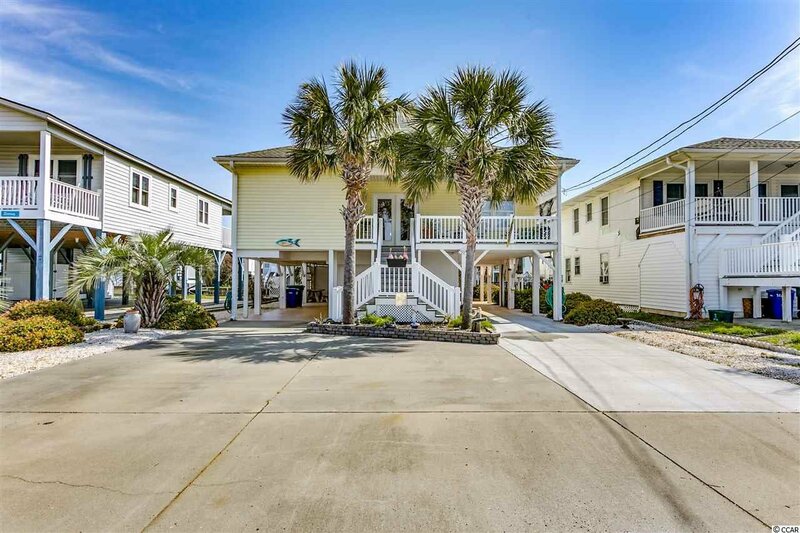 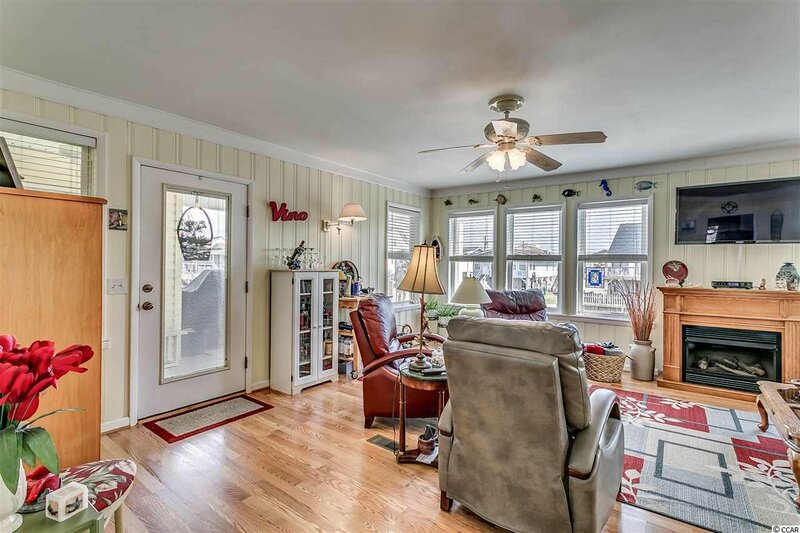 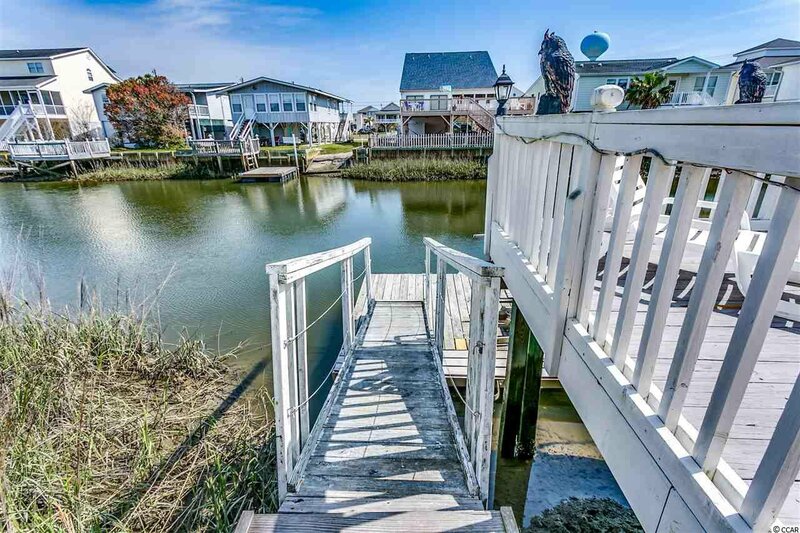 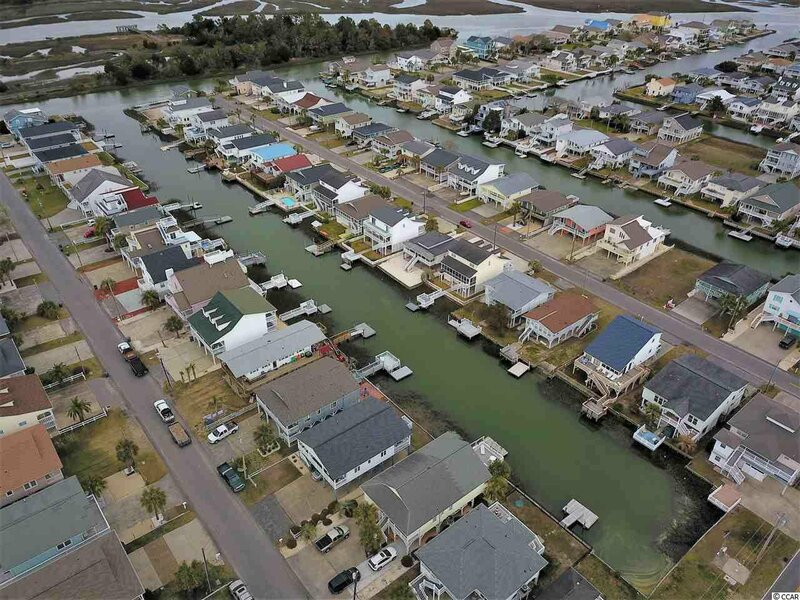 Coastal living at it's finest on one of the BEST channels in Cherry Grove! 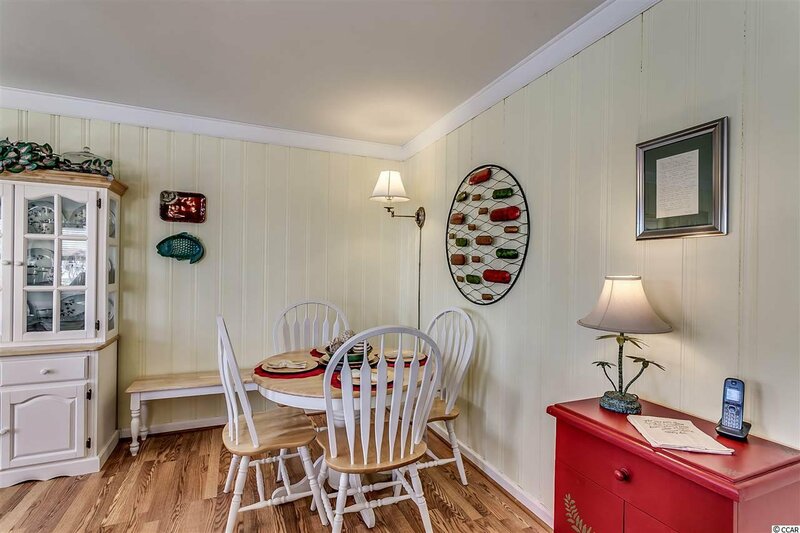 Excellently maintained home with TONS of upgrades and IMPROVEMENTS! 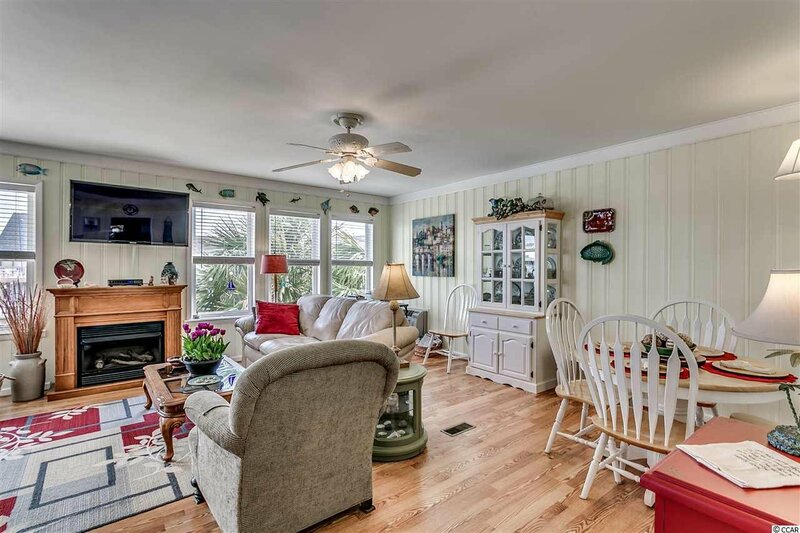 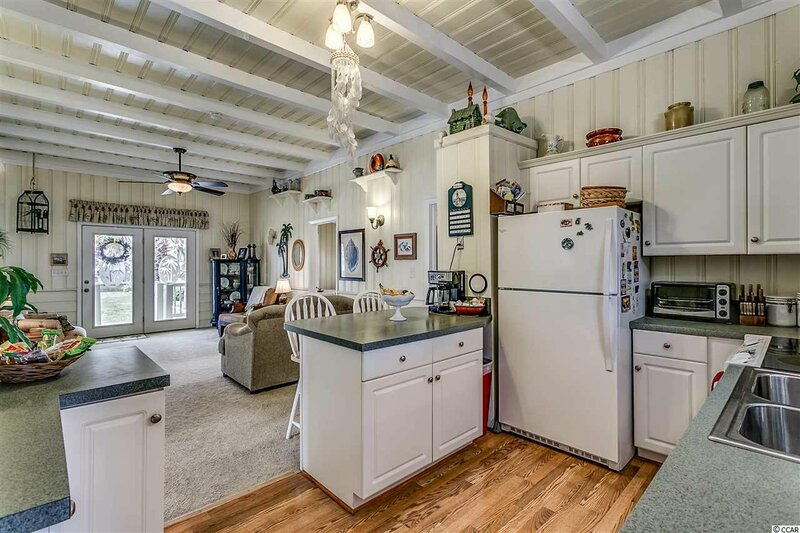 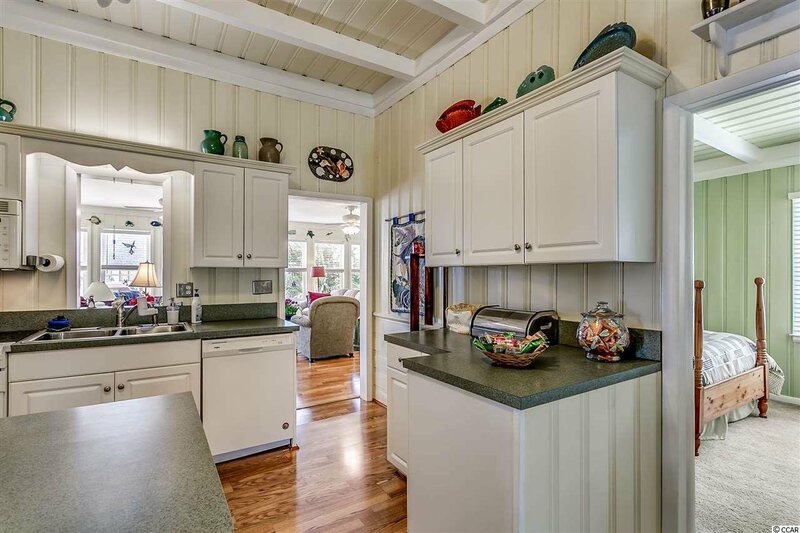 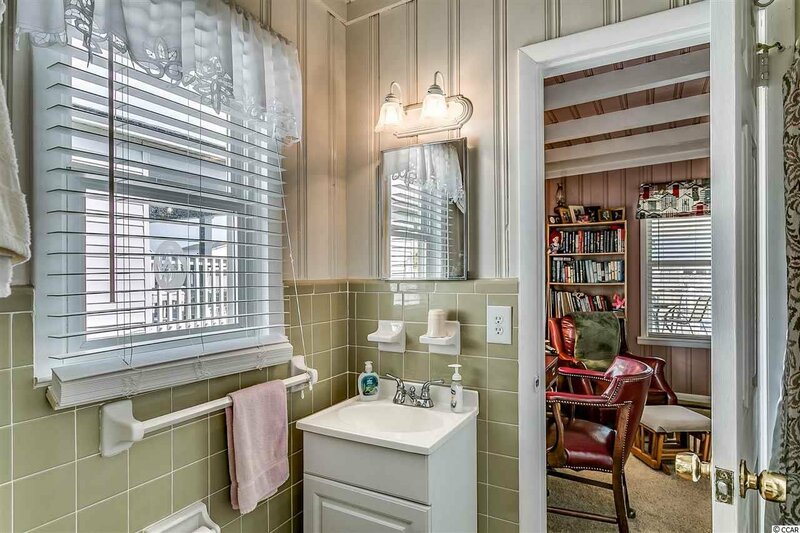 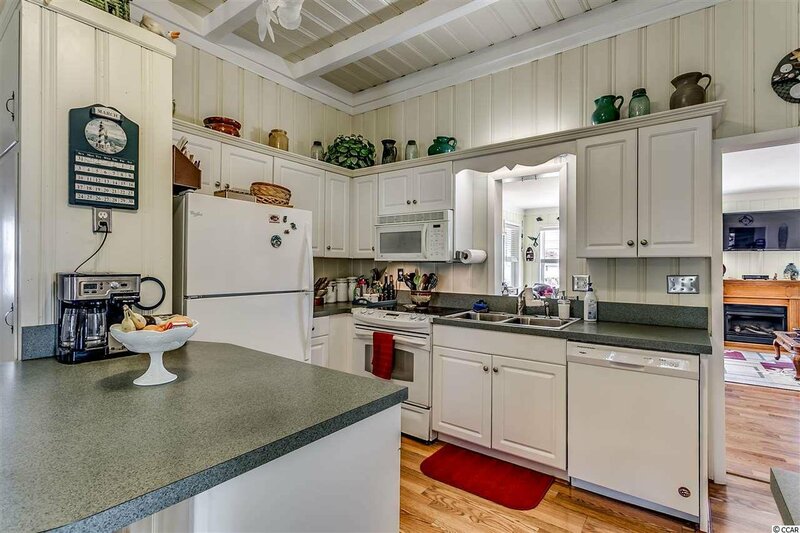 Even better, this property has never been used as a rental and has been loved as a primary residence for many years. 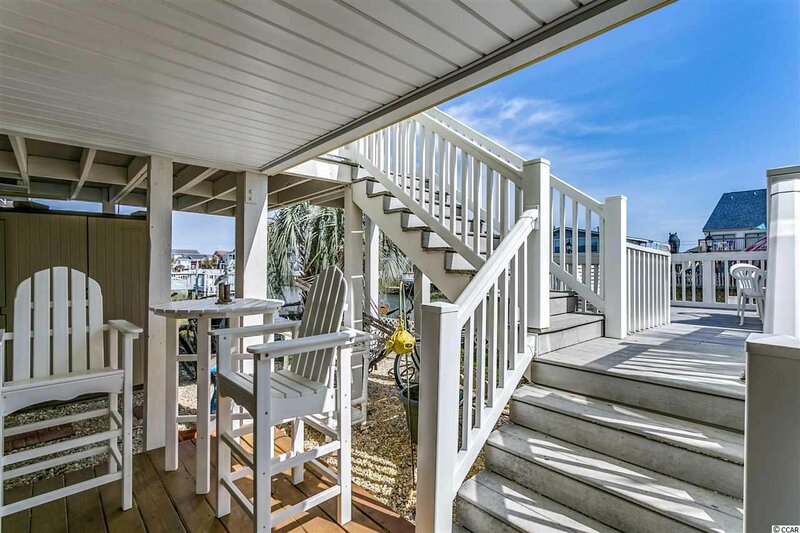 One of the largest four bedroom channel homes you will find with over 1800 square feet of heated/cooled living space and another 1000 square feet of outdoor living space, decking and storage/flex areas. 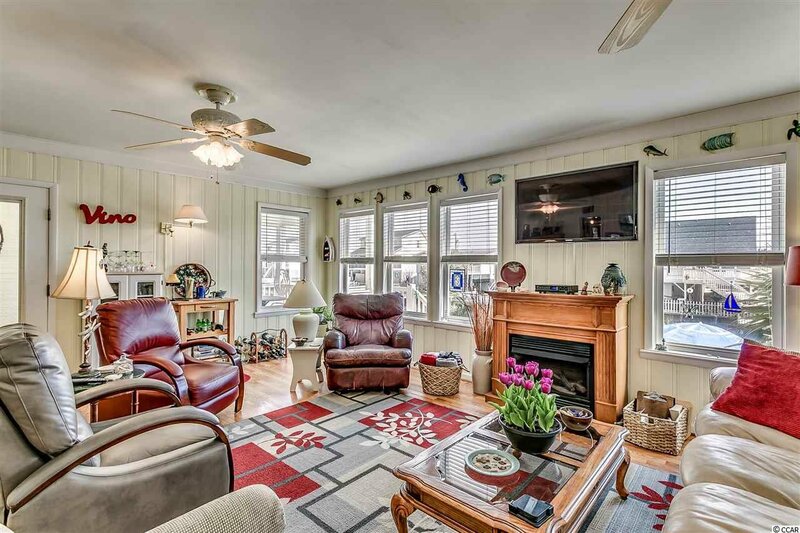 This channel home has a low maintenance exterior with vinyl siding, replacement windows, composite decking and vinyl hand rails. 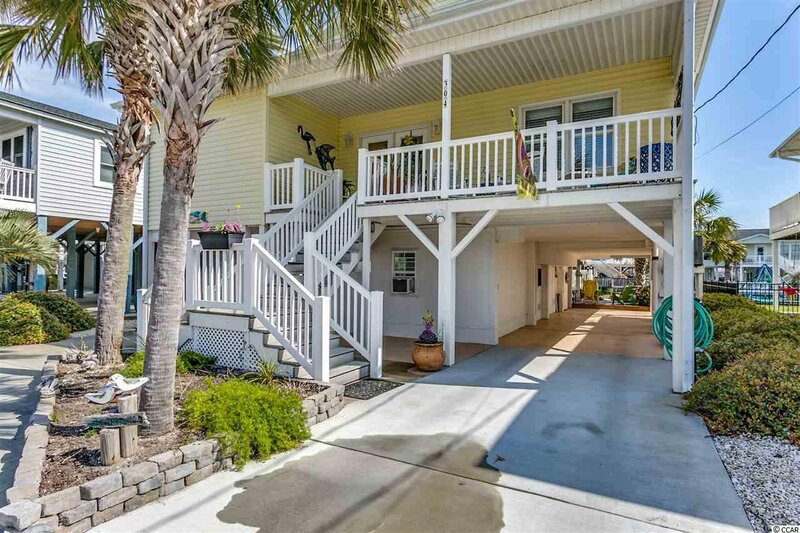 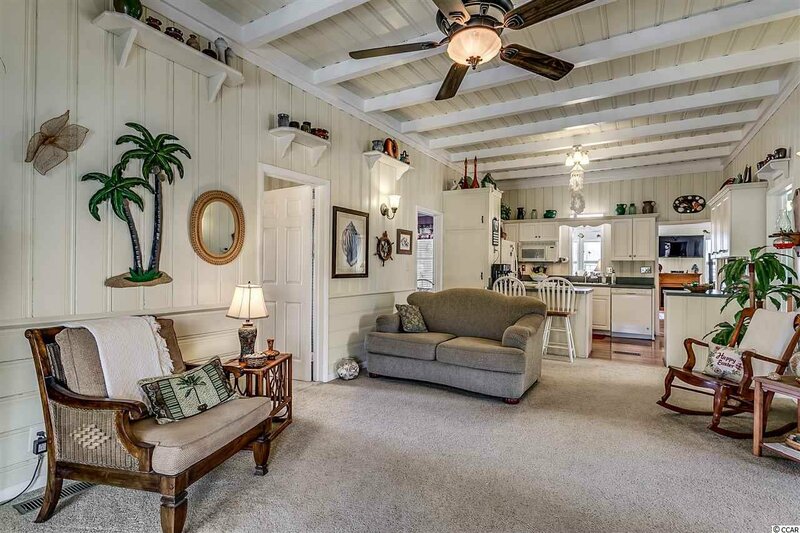 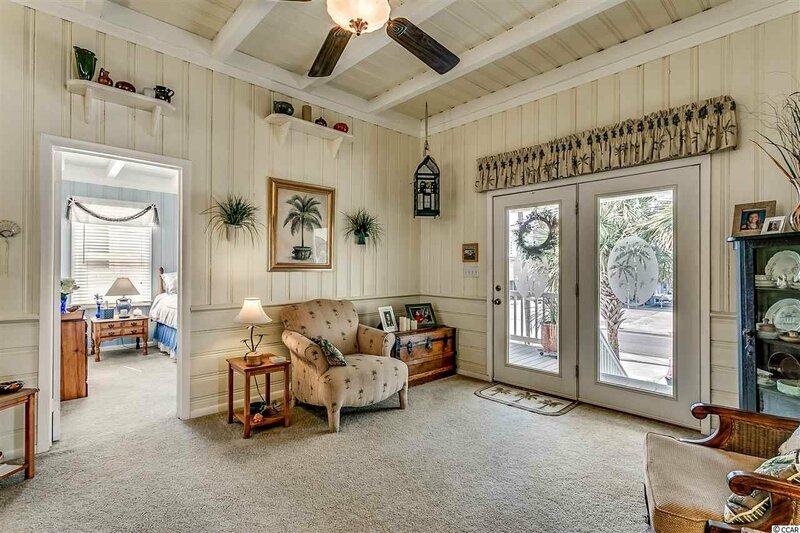 Inside you'll enjoy a spacious floor plan with tall ceilings and a true coastal style. 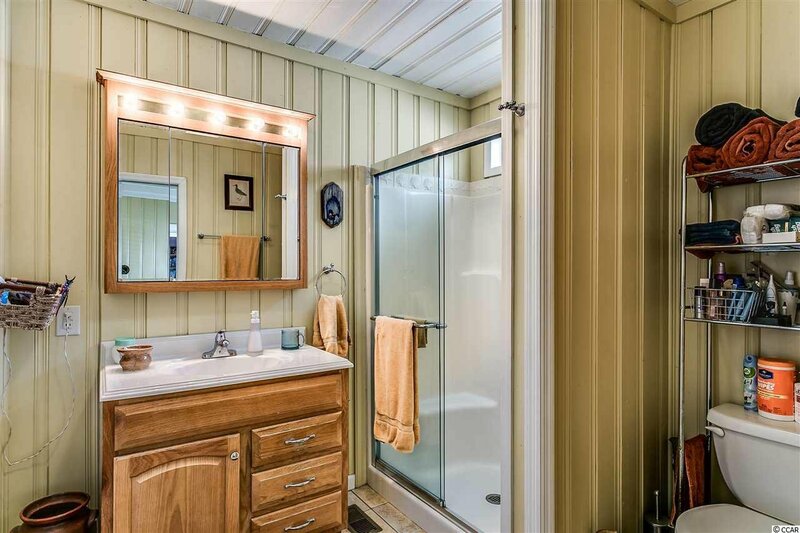 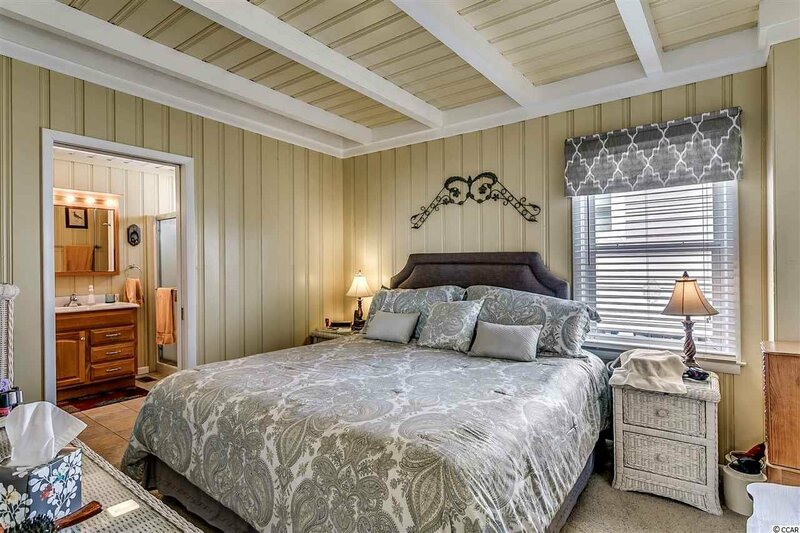 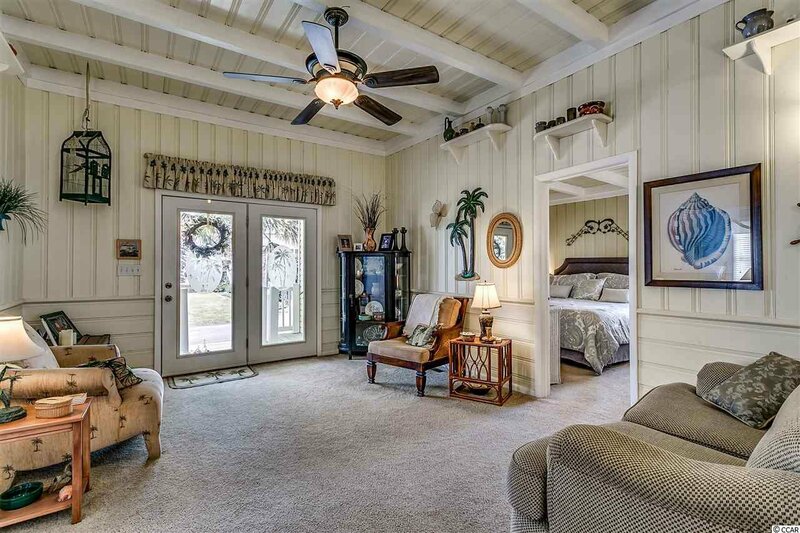 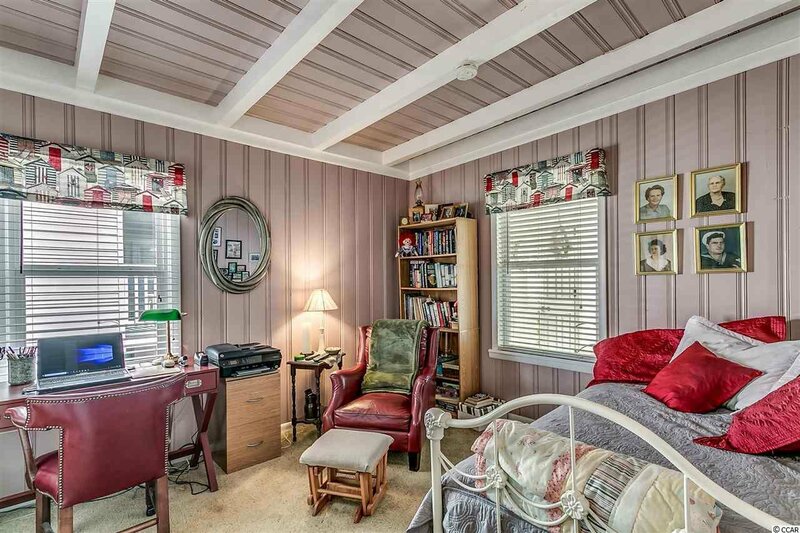 Painted tongue and groove bead board paneling line the walls and beam work accents the ceilings. 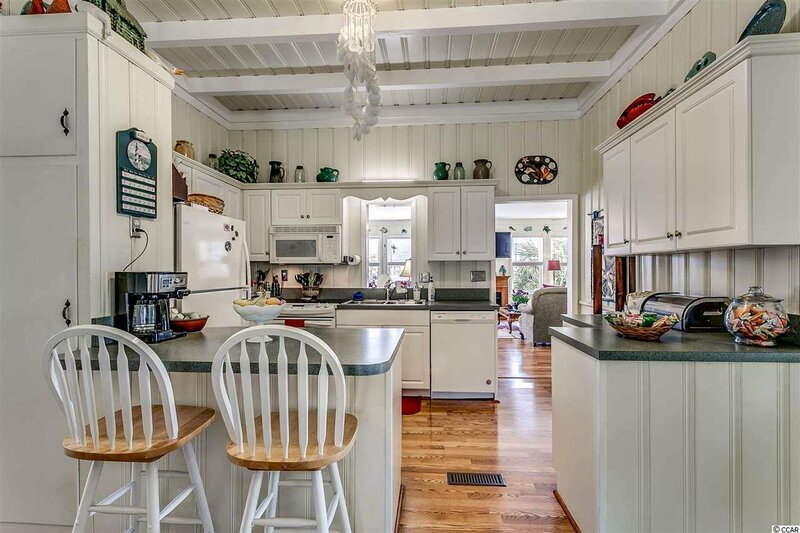 The kitchen features bright white cabinetry and opens to the living room for an open concept feel. 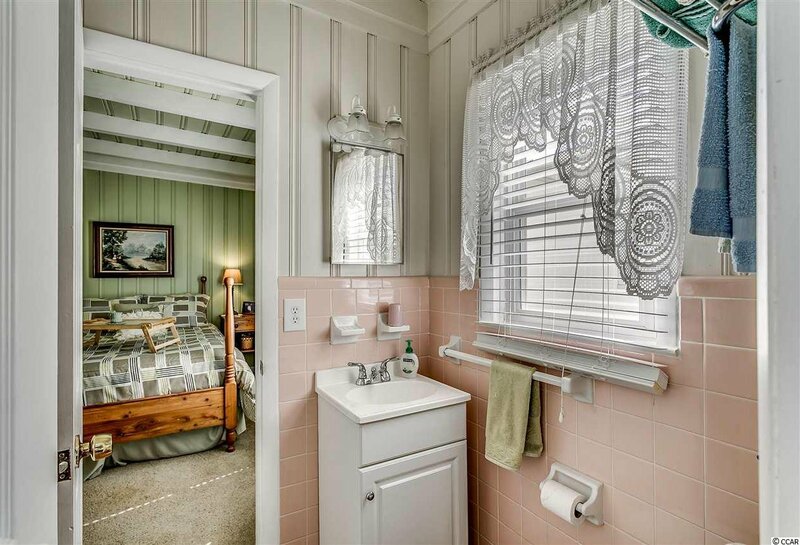 The master bedroom has an en suite bath and the remaining bedrooms share two jack and jill bathrooms. 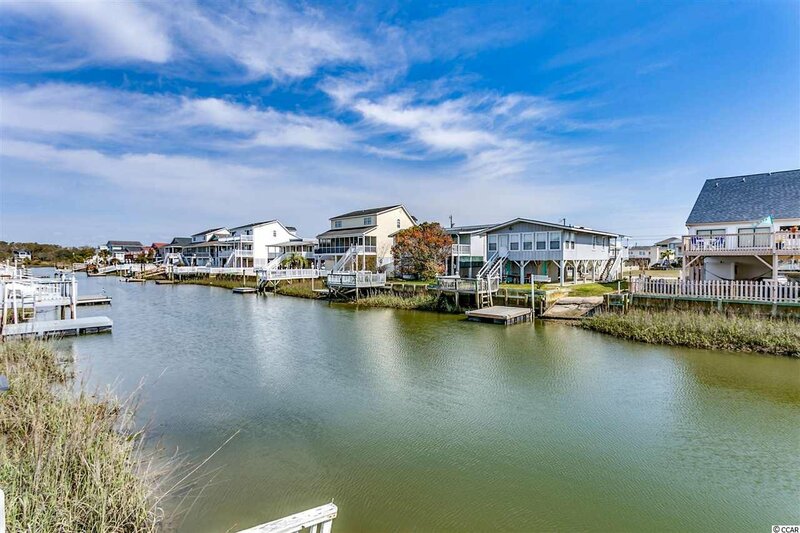 You can take in the beautiful channel view from the large Carolina room with fireplace and adjoining deck with exterior laundry room. 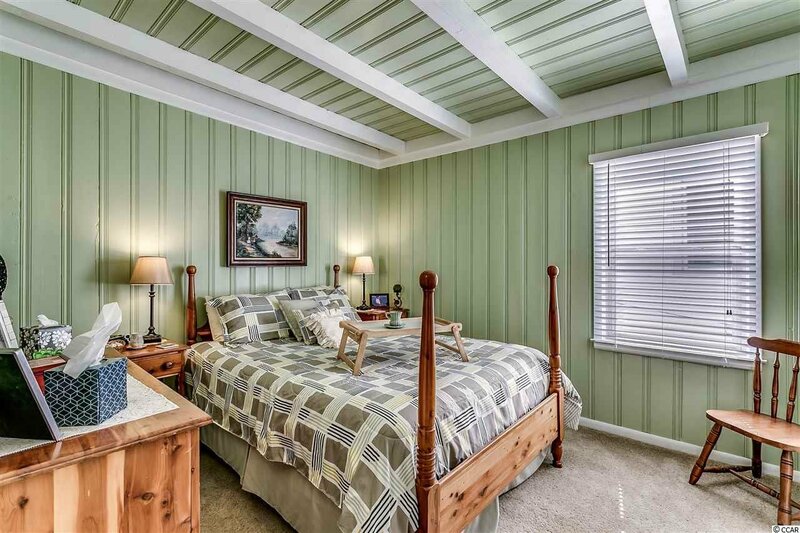 There is an additional 300 square feet of attic space with electrical and sub floor already in place and can easily be finished to add more living area. 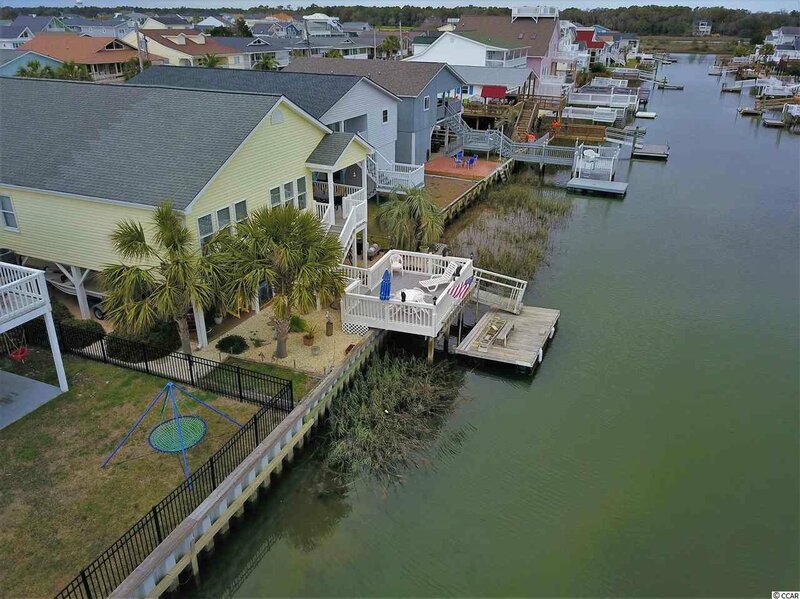 Many improvements to this property include new pilings 2015, new seawall 2016, deck/floating dock in 2005, HVAC new 2012, gabled roof new 2008, dishwasher & fridge new 2018, and ground floor AC units new 2018. 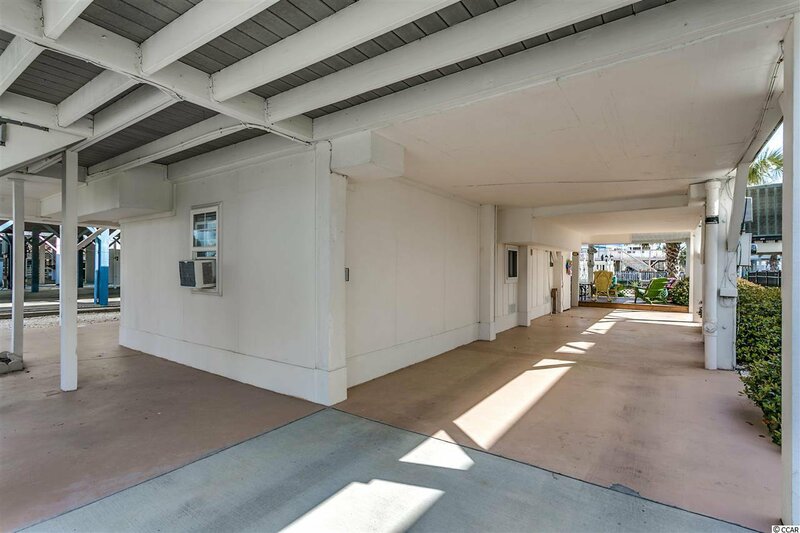 There's plenty of storage space on the ground floor and an additional 150 sf flex room finished with tile and a half bath. 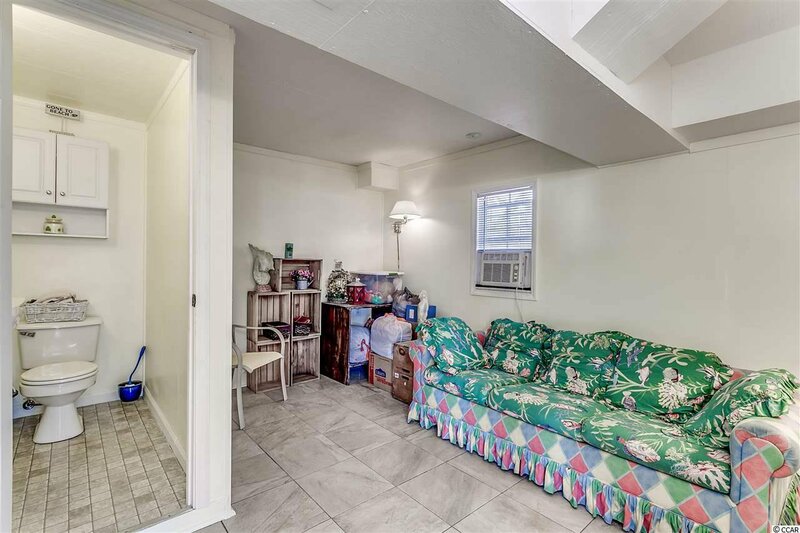 Perfect for your extra living space needs! 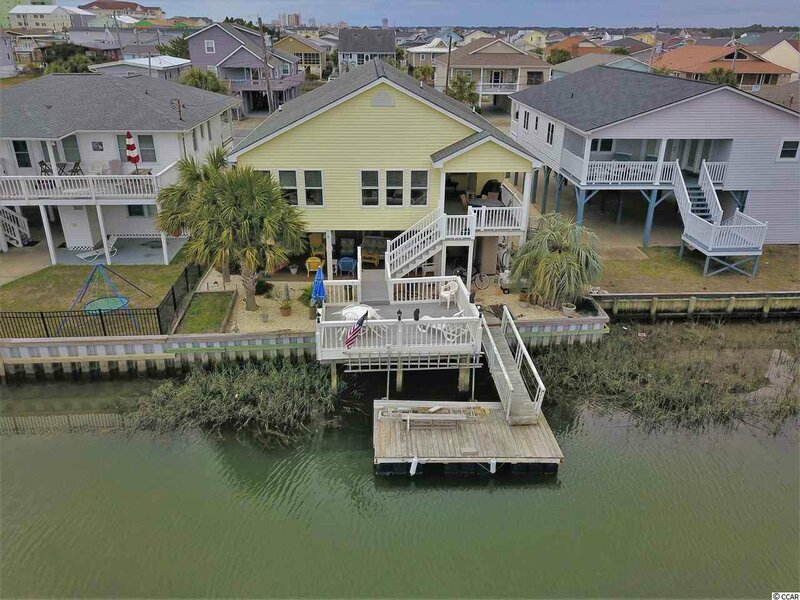 As an extra benefit, the homeowner has paid the first five years of the Cherry Grove dredging assessment! 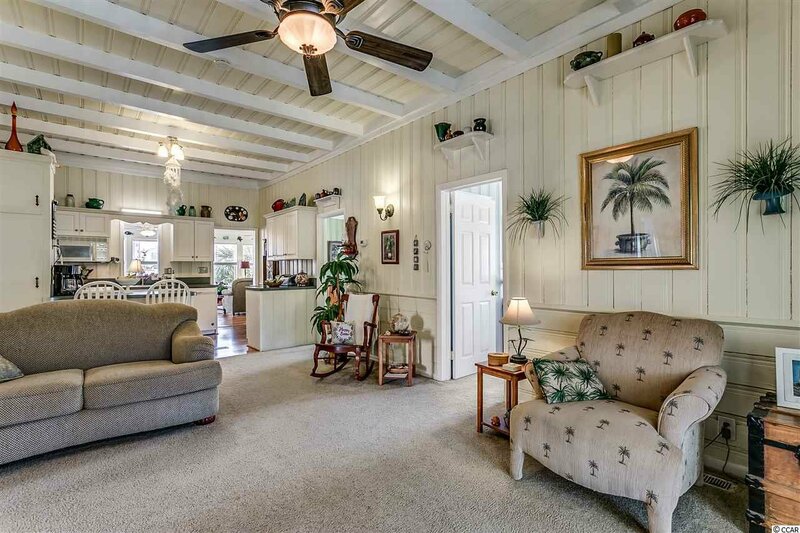 This home always has an afternoon breeze and NO AFTERNOON SUN! 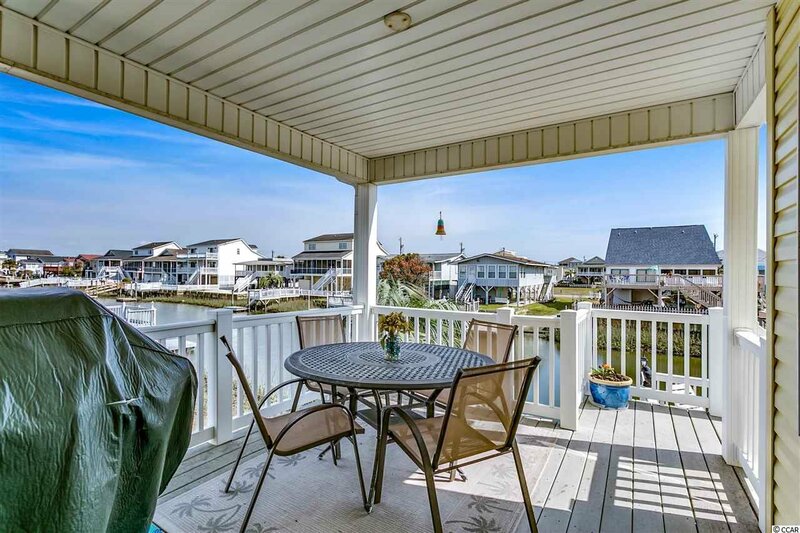 Take outdoor living to the max with a large covered breezeway under the house and enjoy the channel view. 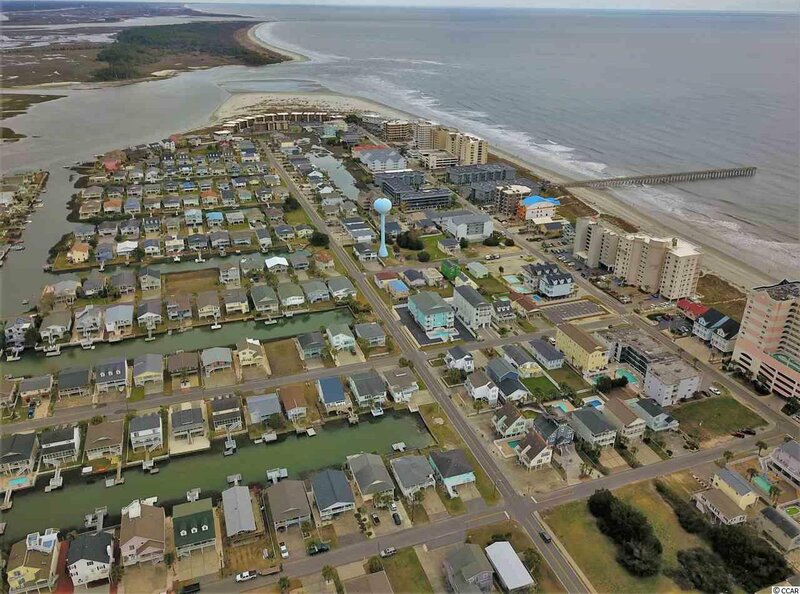 The Atlantic Ocean is just two short blocks away. 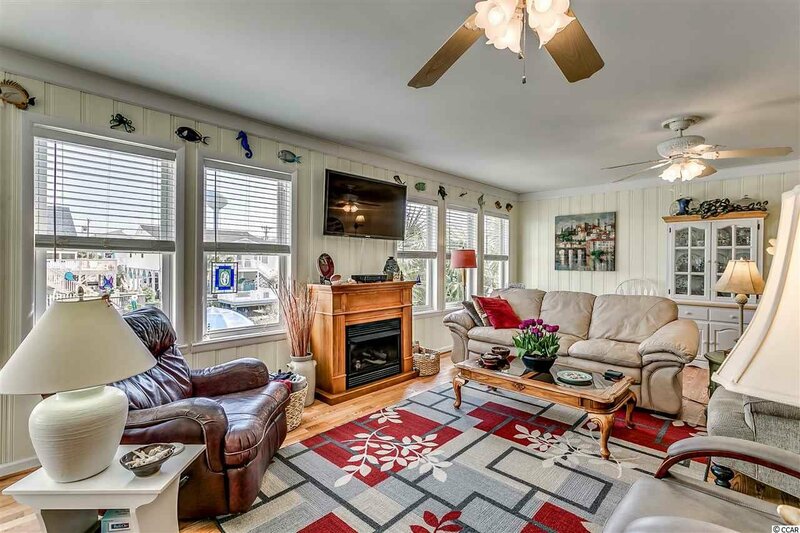 This channel home is perfect for a secondary residence or primary home and is ready for new owners!